Fish Oil... A Powerful Arthritis Remedy You Must Consider! 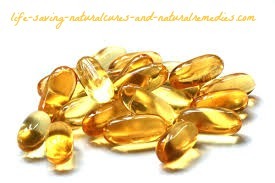 Fish oil and cod liver oil are excellent relief remedies for arthritis (due to their high levels of omega-3). However, most people simply don't know how to use these supplements correctly. Taking fish oil and cod liver oil for arthritis is a fairly common practice nowadays. In fact, even most medical doctors recommend this "tried and true" remedy. And the reason for this is simple. Dozens of studies have been able to successfully prove that these oils do indeed help significantly with the pain and inflammation of arthritis. However, not everyone seems to benefit from fish oil and cod liver oil. Many arthritis sufferers report they receive no additional benefit when taking fish oil? Many supplement companies have recently been busted for bogus fish oil supplements, so it’s vital that you always check your supply source carefully (if they can’t provide testing results of their product then don’t buy it). With fish oil supplements, cheap is definitely not always best. The second (and usually the biggest reason) why fish oil didn’t work for someone is they didn’t take enough! It still amazes me how someone will take one or two 1000mg fish oil capsules a day and expect results. Unfortunately, this amount will simply produce zero results. If you have arthritis then you need to be taking a combination of 6,000 mg of fish oil and 4,000 mg of cod liver oil per day in divided amounts throughout the day (yes, that's a grand total of 10,000 mg's a day!). And forget about overdosing on these (this one always makes me chuckle). The Eskimos living up in the North Pole consume way more than this amount every day from the fatty fish they eat and none of them are dead. Instead, they have obscenely low rates of cancer, heart disease and stroke… and arthritis is just a word in the dictionary to them! Omega-3 fatty acids are lacking in many diets and are vital to the health of cell membranes. They are helpful in preventing the inflammation associated with autoimmune diseases, such as rheumatoid arthritis, and preventing abnormal blood clots that may lead to stroke. Food sources that are rich in omega-3 fatty acids include fish oil, perilla oil, borage oil, and evening primrose oil. High levels of omega-6 are almost always associated with inflammation; omega-3 applies the brakes. Guided by the biochemistry, researchers have found omega-3 fatty acids helpful in the treatment of inflammation-related immune disease across the board. Some areas of focus include… rheumatoid arthritis, an inflammatory joint disease. In a series of studies over the past decade the omega-3 fatty acids have been observed consistently to reduce swelling, irritation, and pain associated with rheumatoid arthritis. A more balanced ratio of omega-6 and omega-3 will help lessen inflammation, which contributes not only to heart disease but also arthritis, headaches, and asthma. Try to cut down on deep-fried foods and other sources of omega-6 while boosting your intake of omega-3. Fish, especially fatty fish, is the best source of this amazing nutrient. In fact, the American Heart Association recommends eating two fatty fish meals a week. You’ll get the most omega-3 from mackerel, salmon, tuna, and herring, but all fish have some. Fish-oil supplements are particularly rich in an omega-3 fatty acid called eicosapentaenoic acid (EPA), which discourages inflammation, says Priscilla Evans, N.D., a naturopathic doctor at the Community Wholistic health Centre in Chapel Hill, North Carolina. EPA is also available from flaxseed oil. Like throwing a track switch to reroute a train, EPA reroutes the chemicals in your body early in the inflammation process. With the flick of that switch, the chemicals start to fight inflammation. Leukotrienes are the most powerful sources of inflammation yet discovered in the body, and their production can be inhibited by ingestion of omega-3 and GLA fatty acids, recommended as part of the regeneration diets. In clinical trials, a majority of rheumatoid arthritics either stopped or reduced by half their anti-inflammatory medication after using combinations of omega-3 and omega-6 fatty acids. Important Final Note: You can always supplement with high potency krill oil or green-lipped mussels rather than taking fish oil (or use a combination of all of them) if you choose. However, krill oil and green-lipped mussels are more expensive (and we question the sustainability of taking krill out of the oceans) so this would be a personal decision. We believe you can still benefit just as much from fish oil and cod liver oil though, so if you can’t afford krill or green-lipped mussels don’t worry… good old fashioned fish oil will still come to your rescue!